The government of India is making best efforts to facilitate common people. To strengthen the lifestyle and secure the future of Indian children, the government has taken several steps. Previously, Sukanya Samriddhi Account swept the entire country with a storm. More than 10 lakh girls opened their accounts under this scheme. More people are still interested in opening accounts. When this scheme was launched in Tamilnadu it received an extraordinary response by the people. Soon after the success of this scheme, people started demanding for more such schemes. Te government was forced to launch more schemes. This is how Ponmagan Podhuvaippu Nidhi Scheme evolved. Ponmagan Podhuvaippu Nidhi Scheme is actually the public provident fund scheme, PPF, which is now named as PPNS. This scheme is to facilitate the male children. If the age of the male child is below 10 years, then he can open his account with assistance of his guardian. The boys of age more than 10 years can open their deposit accounts themselves. To facilitate the common people, the government has not put any age limit on this scheme. Children of any age group can now open the account. Is Ponmagan Podhuvaippu Nidhi Scheme the PPF? To make things easy to understand, the government has changed the name of Public Provident Fund to Ponmagan Podhuvaippu Nidhi Scheme. The tax deductions will be the same as on PPF, under the section 80 C of the income tax law. The interest rate is currently 8.7% for this year (FY 2015-16). Noteworthy is the fact that interest earned on the amount is exempted from the tax. The minimum amount that you can pay is RS 100. The maximum amount is RS 1, 500, 000. Whatever suits your child’s pocket can be his saving. The parents can definitely help their child save more money. Like PPF the maturity time for this scheme is 15 years. 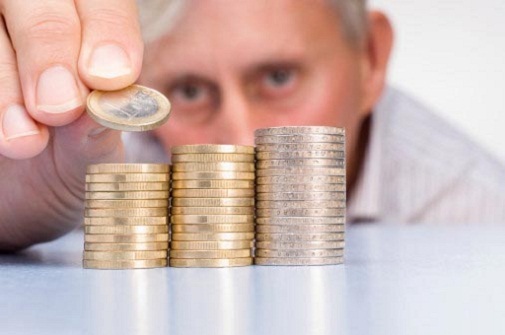 It means that you will get the deposited money and the earning in the form of interest rate after 15 years. The account holder can take the loan against this scheme too. In case, the account holder wants to withdraw money, he will need to follow a proper set of rules. It is not possible to fully withdraw all the money. Certain laws are there to be observed. Different states have received this scheme differently. It is mainly because of awareness about such schemes. Maximum age limit for opening this ppns? ?